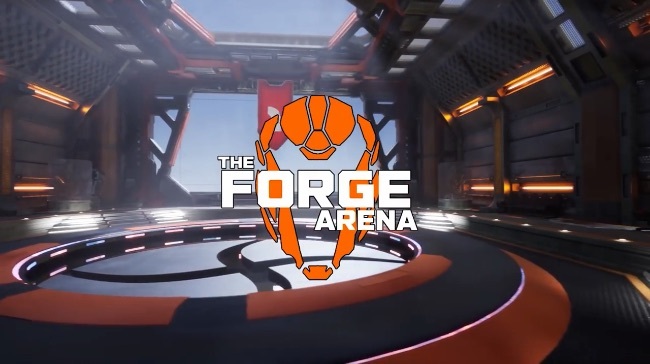 Playing a little like a blend of Halo and CS:GO, The Forge Arena is a slick Sci-Fi arena shooter that’s geared towards competitive play. The main game mode features 5v5 team based multiplayer matches split across two phases. The first phase of each match sees players attempting to capture an orb that sits in the center of the arena. Once the orb is captured the gameplay switches to the second phase on a second map where the team that captured the orb become the aggressors in a search and destroy bomb site scenario. During matches you can open up the shop and spend points you’ve earned during combat to unlock weapons and equipment upgrades for you character. This works similarly to CS:GO, but you don’t lose your items when you die. It also has a battle pass system and the ability to buy premium currency, with all the unlocks being cosmetic items. The first stage of testing took place last year with lots of good feedback which the devs have make a wide range of tweaks and upgrades to The Forge Arena (which you can read about here). The second phase of testing is currently ongoing so sign up now for a chance to join in the Sci-Fi arena shooter fun. UPDATE: You no longer have to sign up for the Beta. Just join the Official Testing Discord Server and follow the instructions in the #Instructions channel.